Your bathroom rugs and towels are typically ignored; you may make sure to clean your bathroom everyday, and to do your laundry once a week, but you’ve more likely than not overlooked your bathroom rugs and towels. 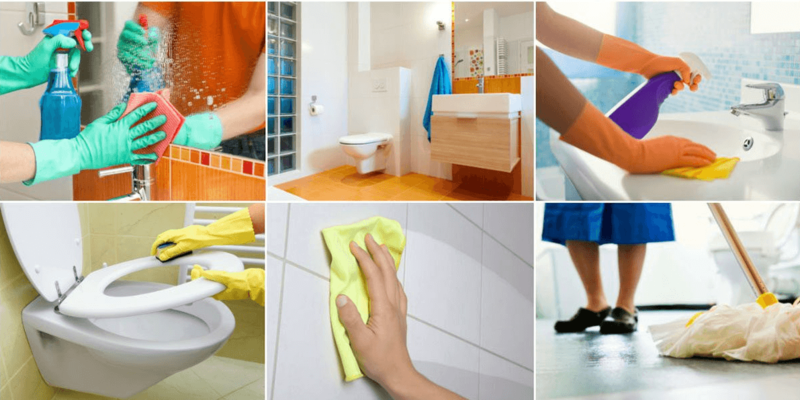 And there’s a certain inherent danger of not washing your rugs and towels regularly – the danger of harboring undesirables in your bathroom: mildew, mold, and bacteria. If you stop to think about, for example, how your towel dries you off, think about this: every time you use your towel, you’re scraping off your dead skin cells. Those skin cells gradually collect between the fibers of your towel. And you know something else? Those dead skin cells are nutrition for bacteria and mildew. YUM! Same goes with your rugs. You step out of your shower soaking wet, creating mini-puddles of water in your rug. The moisture gradually builds up in your bathroom rug, effectively becoming a petri dish for mildew, mold, and bacteria. Nice thought eh? But something can be done. You can fight off these undesirables; you don’t need to build a wall, you don’t need to spray the rugs and towels with anti-bacterial spray every day (there are other issues with anti-bacterial liquids – but that’s a story for another time), and no need to burn them in your fireplace, sending the mildew to the depths of some hell. No need to panic – you just need to wash them with your laundry. How often should you wash your bathroom towels? Every 3-5 uses. Not 3-5 days mind you – 3 -5 uses. It may not be solid science, but that is effectively the number of times you can use your towel without it getting saturated with water (and this is only if you hang your towel). You can use multiple towels of course, but that would increase your laundry load every week. How often should you wash your bathroom rugs? If your rug as a non-skid backing (usually rubber), wash it once every 3-4 weeks. The rubber on the back of your rug can get pulverized with every laundry load, so you have to be careful with it. Wash it with warm water – not hot, as that will definitely destroy the rubber back. For a non-skid backed bathroom rugs, and especially in bathroom where you have a shower or bathtub (an environment that is regularly soaked with water), wash it weekly. Mildew, mold, and bacteria love wet environments, so expect it a few rugs in your laundry basket every laundry day. You SHOULD own more than a few rugs too. So that’s about it. If you still start getting a bit lazy and procrastinating doing your bathroom towel and rug laundry, keep this in mind: every time you dry yourself after the shower, millions of microscopic bacteria with the natural compulsion to cause you distress, disease, and potentially pain, will rub off your town and onto your skin. Then they will crawl through all the pores in your body until they find a nice, warm place to call home. And you don’t even know where they’ve been! So it’s time to change your behavior and start doing your bathroom rug and towel laundry. If you aren’t doing it for yourself, do it for the good of all. After all, you are the last line of defense against undesirables.